Grace Brethren churches and ministries have responded with thousands of dollars of aid to Haiti in the wake of Hurricane Matthew, which struck the island on October 4 as a Category 4 storm. Four ministries within the Fellowship of Grace Brethren Churches work in the region. All continue to respond to needs created following the storm. The agency just wired the rest of the $10,000 to repair and rebuild as many homes and churches as that money will allow. “Our teams are purchasing their supplies locally to keep from theft and bandits bothering the transporting,” said O’Deens. Breathe Partners is planning to take some teams into the country after the new year. Contact O’Deens if you are interested in participating. “Three Strands also sent water filtration kits to Cap Haitian to help prevent Cholera and other waterborne diseases,” said Dr. Babak Iranmanesh. Three Strands has also provided food relief and financial assistance. 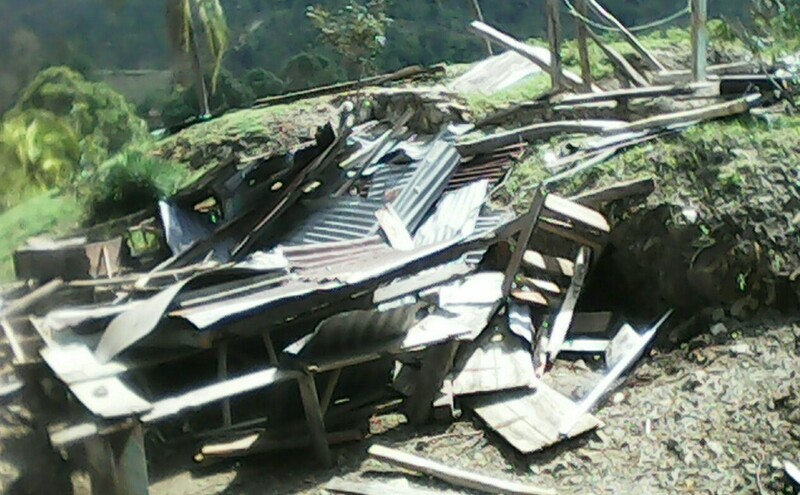 Barb Wooler, director of crisis response for Encompass World Partners, reports that Caribbean Vision Ministries (Chuck Davis, director) has been providing truckloads of relief supplies and will eventually move into repairing church buildings. “Last time I checked, they were loading up their second truck at $5,000 a truckload,” Wooler said. Raising funds to provide 2,500 sheets of metal roofing sheets to CVM’s and Breathe’s rebuilding efforts, as well as to efforts on the remote island of Tortuga and in Cuba (see below). Partnering with Jesus Munoz to send a team to Tortuga. In January, a team of six to seven workers will travel to this island where CVM has a church whose building was devastated. The team will be comprised of Haitians from Grace Brethren churches in Fort Lauderdale, Hispanics from churches in the Tampa area (including the team leader, Javier Forero), Wooler, and several others. 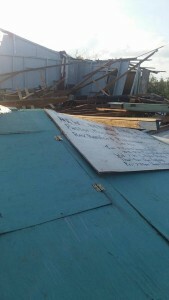 “This is funded except for the [funds for] metal roofing, which we hope to raise,” she said. Partnering with NorthWest Chapel, a Grace Brethren congregation in Dublin, Ohio (Rob Barlow, pastor) and a Grace Brethren congregation Mexico. The team will travel to the region of Guantanamo, which was the hardest-hit area. There is still a need to raise $3,000 plus whatever metal sheet roofing Encompass is able to provide. Donations are still being accepted by the various organizations. Links are included below. Caribbean Vision Ministries — Click here to donate. Breathe Partners — Click here to donate. Three Strands — Click here to donate. 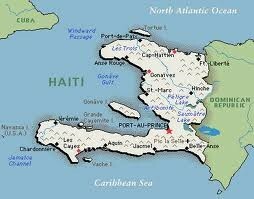 In addition, Grace Brethren congregations in Florida are collecting cases of water to be shipped to Haiti. They will be delivered to Mispa Missionary Community Church, a Grace Brethren congregation in Miami, Fla. (Desir Nonhomme, pastor), by the end of November, and then shipped to Haiti. “We wanted people to take an active approach to this mission, not just writing a check,” noted Matt Wheelock, associate pastor at Grace Church, Sebring, Fla. (Randy Smith, senior pastor), who is overseeing the project.